A group of eminent scientists behind the “Doomsday Clock” has symbolically moved its time 30 seconds closer to midnight. The clock, a symbol created at the dawn of the Cold War in 1945, comes from the Bulletin of the Atomic Scientists, a group founded by researchers who helped build the first nuclear weapons during the Manhattan Project. 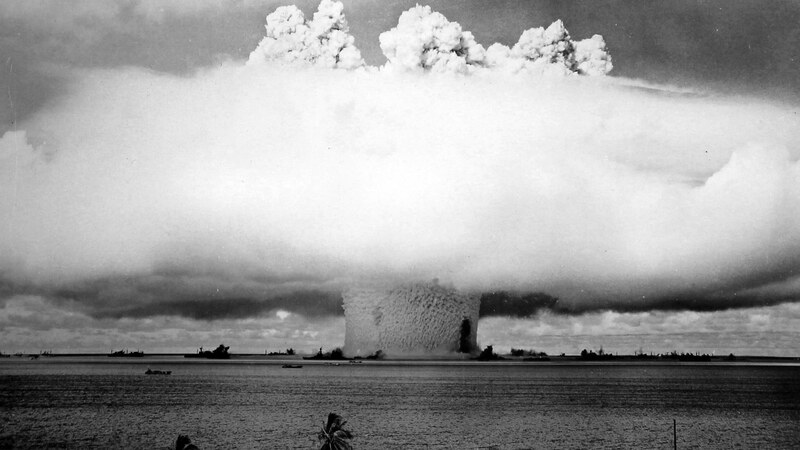 The Doomsday Clock was established amid concern over the first atom bomb explosions. The Bulletin began publicly adjusting the clock to reflect shifting threats to the world since 1947. Now, 70 years later, members have moved the clock from three minutes to midnight, where it remained for a couple of years, half a minute closer to an apocalypse, according to a brief statement. 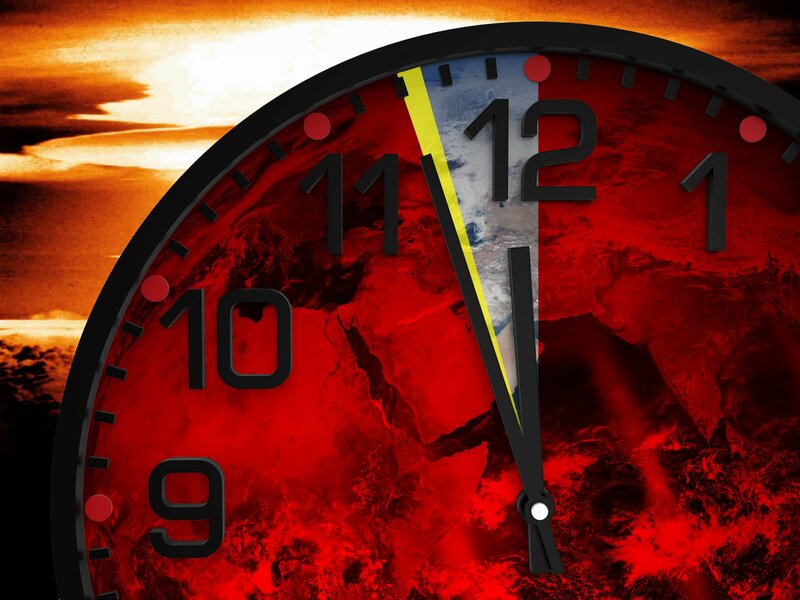 The clock’s movements were initially focused on the threat of global nuclear warfare, but in the past decade they have incorporated other long-term threats to humanity, including climate change. The organization released a full statement detailing its reasons for the symbolic and alarming gesture. It cites many causes, but most prominent are President Donald Trump’s rhetoric about expanding US nuclear weapons armaments and North Korea’s continued work toward developing nuclear warheads and the means to fire them. The Bulletin of the Atomic Scientists Science and Security Board takes a broad and international view of existential threats to humanity, focusing on long-term trends. Because of that perspective, the statements of a single person — particularly one not yet in office — have not historically influenced the board’s decision on the setting of the Doomsday Clock. But wavering public confidence in the democratic institutions required to deal with major world threats do affect the board’s decisions. And this year, events surrounding the US presidential campaign — including cyber offensives and deception campaigns apparently directed by the Russian government and aimed at disrupting the US election — have brought American democracy and Russian intentions into question and thereby made the world more dangerous than was the case a year ago. For these reasons, the Science and Security Board of the Bulletin of the Atomic Scientists has decided to move the minute hand of the Doomsday Clock 30 seconds closer to catastrophe. … The board’s decision to move the clock less than a full minute — something it has never before done — reflects a simple reality: As this statement is issued, Donald Trump has been the US president only a matter of days. Many of his Cabinet nominations are not yet confirmed by the Senate or installed in government, and he has had little time to take official action. The only time the clock was closer to midnight was 1953 to 1959, when it was held at two minutes until midnight. The 2017 shift is the fifth instance the time has been moved to three minutes or less until midnight — the others were in 1949, 1953, 1984, and 2015. The Doomsday Clock and the Bulletin of the Atomic Scientists are not without their critics, however. Apocalypticism can systematically distort our understanding of risk, mesmerizing us with sensational scenarios that distract us from mundane risks that are objectively larger. Worse, it can block rather than galvanize efforts to solve global problems. By treating risks as infinite, doom-saying makes it harder to take their measure — to prioritize them, balance them against benefits, or countenance smaller ones to mitigate larger ones. The result can be paralysis. Members of the Bulletin announced their Doomsday Clock decision at the National Press Club in Washington, DC.